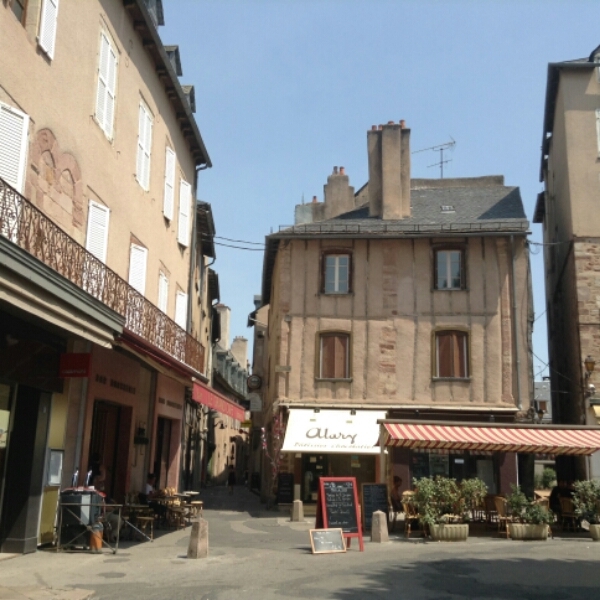 The older parts of the villages and towns are so beautiful. 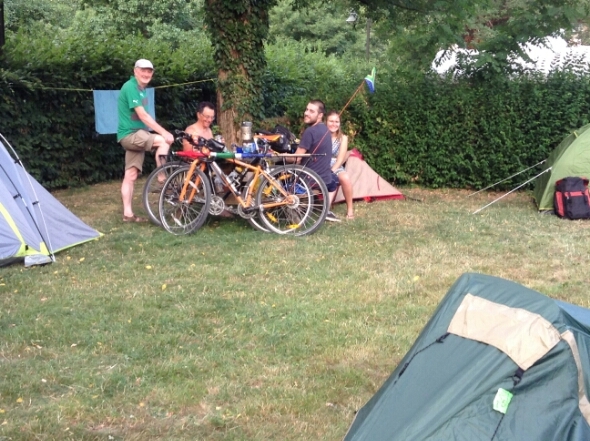 In the municipal campsite we meet a young couple from Belgium, Steve and Yulana, as well as Pat from Ireland. The couple overnighted and were waiting to meet her parents that were joining them for a holiday in the South of France. They were not well organised so I adopted them and made sure they had breakfast with us. Pat was also following the tour but on a motorbike with panniers. He could therefore see more and move around quicker than us. We watched the start of the stage from Rodez and during the wait met Veronique her husband and two children. I chatted with a lady named Marie who lived in Bretagne and she invited us for cold drinks before we left. No sooner had we started our ride to Valence when a thunderstorm started and we decided to sit it out in a pub and watch the tour at the same time on telly. 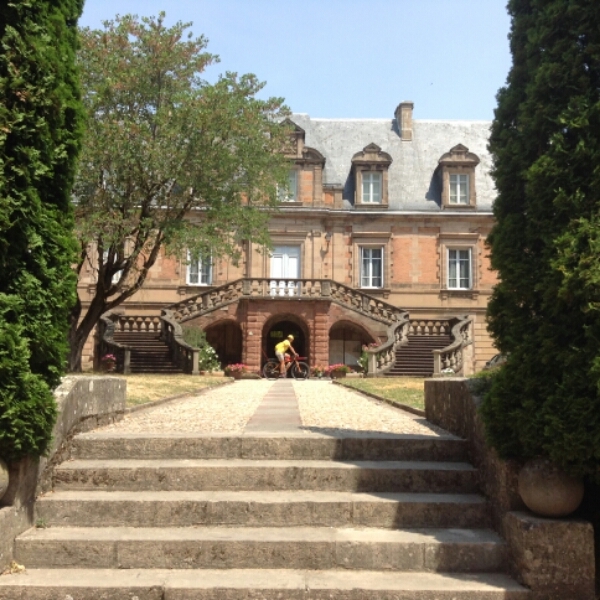 We headed for Millau and then would go via Montpellier to Valence for tomorrow’s stage……..